Once a setting has been found it is stored in non-volatile memory, so that a new tuning on similiar frequencies happens very fast. The tuner uses a Pi network design which has the advantage (compared to L networks) that is acts as an additional low-pass filter, reducing spurious emissions. The CG-3000 tuner is operated with 12V DC, other cotrol wires are not required. 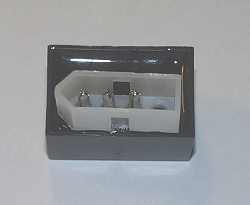 The solid plastic case is suitable for outdoor use, size approx. 365x240x75mm. U bolts with 55mm width are included. The minimal required antenna length is 2.5m for frequencies of 6MHz and up, or at least 8m for 1.8MHz and up. With a small glassfibre pole (not included) and some wires (not included) a good allband antenna is constructed within minutes. 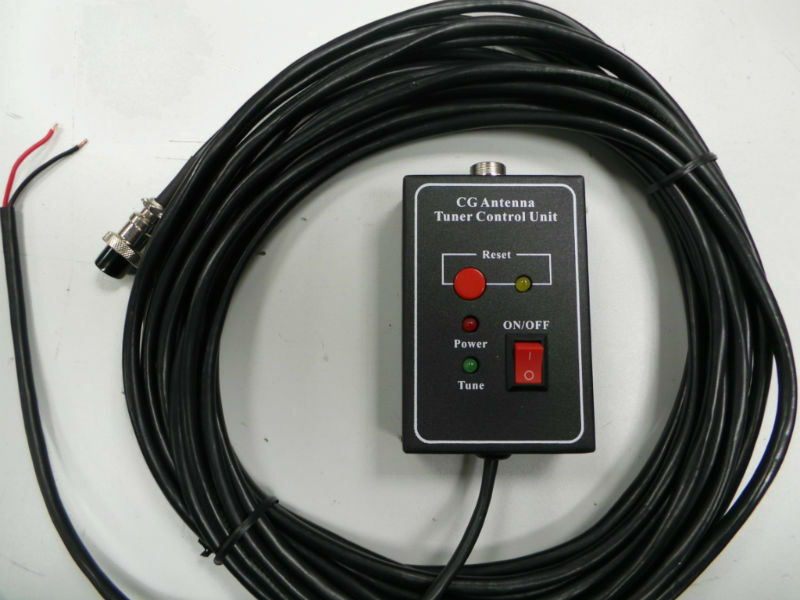 The remote control unit for the CG-3000 automatic tuner offers the features to switch the power supply for the tuner, start a rest and show the current status ('tuned'). Comes with control cable and 2m DC cable. Weight 750g. Note: When using the TUNERITE-KW on a TS-480HX (HX, not SAT! ), the radio 'thinks' it has a kenwood tuner connected. Since these tuner do not handle more than 100W power, the TS-480HX reduces it's output power permanently to 100w! During the tuning process the power is reduced to 10W as usual.